Editor’s Note: The recent announcement of the introduction of the 2019 Audi A8 model—an electric vehicle that offers wireless charging—validates an analysis that convenience-store industry expert Gerald Lewis was already deep into: the disruption that will be caused by the ability to transmit electricity wirelessly. Here is his look at what wireless electrical transmission might mean for the future of humanity in general and the c-store industry in particular. NEW YORK — The next big thing is almost here—a development that will change the world even more than Microsoft, Apple, Facebook and Amazon have done in recent memory. It is the wireless transmission of electricity over long distances. It will ultimately enable such disparate things as colonization of the planets and elimination of the need to connect homes and factories to electricity sources. Sounds great! But here’s the bad news: It will also eliminate the need for stationary refueling or recharging of transportation vehicles. In case you think I have been smoking something, here is some background. More than 120 years ago, Nikola Tesla—a genius Serbian inventor and engineer who created the induction motor and alternating current (AC) electricity and, yes, the man whom the Tesla car is named after—demonstrated wireless electrical transmission in Colorado Springs, Colo. He lit electric lights outside using a large coil inside the building. 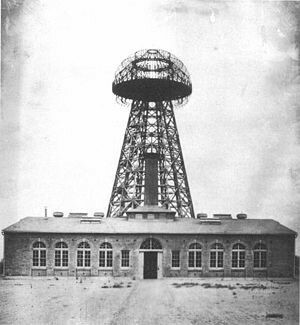 Based on the success of this experiment, in 1901 he designed and built Wardenclyffe Tower (pictured) in Shoreham, N.Y., an experimental station intended to transmit telephone messages, facsimile images and wireless electricity over long distances. Due to a dispute over the latter capability with J.P. Morgan, his primary backer, Tesla lost his funding and the project never became operational. The tower was abandoned in 1906 and sold as scrap metal in 1917 to pay off the debts that Tesla, a profligate spender, had amassed at the Waldorf Astoria Hotel in New York. Thus, we will never know whether his method of long-range wireless electrical transmission would have been successful. But this didn’t stop others from continuing to work on it. Fast-forward to today, and there are some exciting things that are currently happening in this field. The one that is likely to be the first commercial development in wireless electrical transmission is a radio frequency technology called WattUp, developed and owned by the publicly traded Energous Corp. The technology enables smartphones, hearing aids, tablets and similar devices to be charged wirelessly as far as 15 feet away from the power source. Energous has a development and license agreement with one of the leading consumer electronic companies (rumored to be Apple) and hopes to make it available to consumers in the near future. Both the Energous and Stanford solutions are quite limited in the distance over which they can deliver wireless electricity. A feature in Stanford’s solution is that it does not require line of sight. For longer-range wireless power transfer, one can use microwave beams. Such a technique does require line of sight. A group of Japanese scientists, working with Mitsubishi, have transmitted 1.8 kilowatts of electricity “with pinpoint accuracy” to a “rectenna” 55 meters away using microwaves. Rectennas (pictured) are flat, wireless power reception antennas. 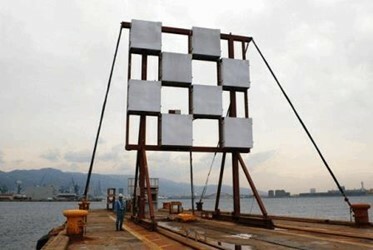 These Japanese scientists are working for J Space Systems on a project called Space Solar Power System that is being developed as an alternative future energy resource, with the support of the Japanese government. Clearly, long-range wireless electricity transmission is an idea whose time is coming. When it does, the implications are endless. Just think of a GPS system transmitting electricity to your car the way such systems currently provide you with directions. How soon will this happen? It is impossible to tell, but, in today’s world, once developments begin, they frequently come to scale much faster than anyone can imagine. A good example is a service that was introduced by FedEx in 1984 called Zapmail. At the time, fax machines were too expensive to gain widespread use, so FedEx would pick up your document, fax it to the closest Zapmail station and deliver it the same day. FedEx invested $250 million in the service but discontinued and wrote it off two years later, because the cost of fax machines had dropped so much by then that virtually every business that needed one had one. Fill-in. This is the foundation of what defines the convenience-store category: the ability to buy the things consumers run out of in between trips to the supermarket. It has been viewed as being confined to food and household items, but a good case can be made for expanding it to cover things such as printer paper, ink cartridges, tech items and other items that recognize changes in the way we live today. Fast food. A convenience-store today cannot be truly successful without a strong fast-food program. It is also the area that offers the greatest opportunity to create a distinctive positioning but the hardest to do consistently every day at every store. Fuel. The continuing roller coaster in oil prices reinforces the importance of using net operating cost accounting to measure the performance of each c-store site based on the amount above or below cost at which it can sell gasoline and still break even. While motor fuel is a commodity, a professional appearance, convenient access and competitive pricing will attract shoppers every time. Fun. This is an emotional rather than a physical differentiation. So much of what retailers sell is related to taking a break in the day—candy, quick foods, lottery, etc. This is an area where retailers can differentiate their stores by presenting them as providing some fun (or at least temporary relief) in this stressed-out world. These four F’s are still as valid now as they were in 2003. But if you eliminate fuel from the list, another F must take its place: fundamentals. While change is constant and necessary in the world of convenience retailing, the fundamentals always continue to apply. So think of the c-store as a destination for fill-in, fast food and fun—and then constantly try to expand how to meet those fundamental needs. Then if the time comes when the strength of the offer, not the number on the gas price sign, will be all retailers have to make the cars drive past competitors to stop at your site, you will still have a successful business. And if that time doesn’t come soon, you will be way ahead of the game.